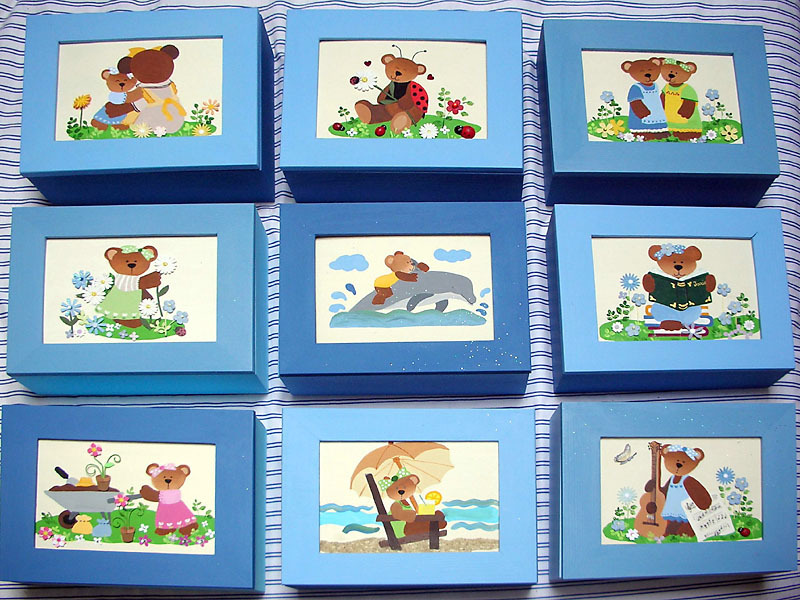 Here are some more beautiful boxes painted by Martine Banet in France. Thank you for sharing! She has mixed graphics from various sets (feel free to ask if you want to know about a certain graphic). 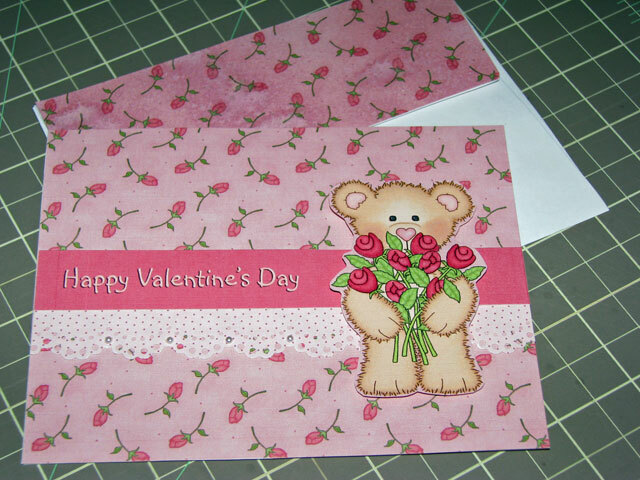 Here is a very cute card that Lorie Ballard has made. She used graphics from CC30: Roses.